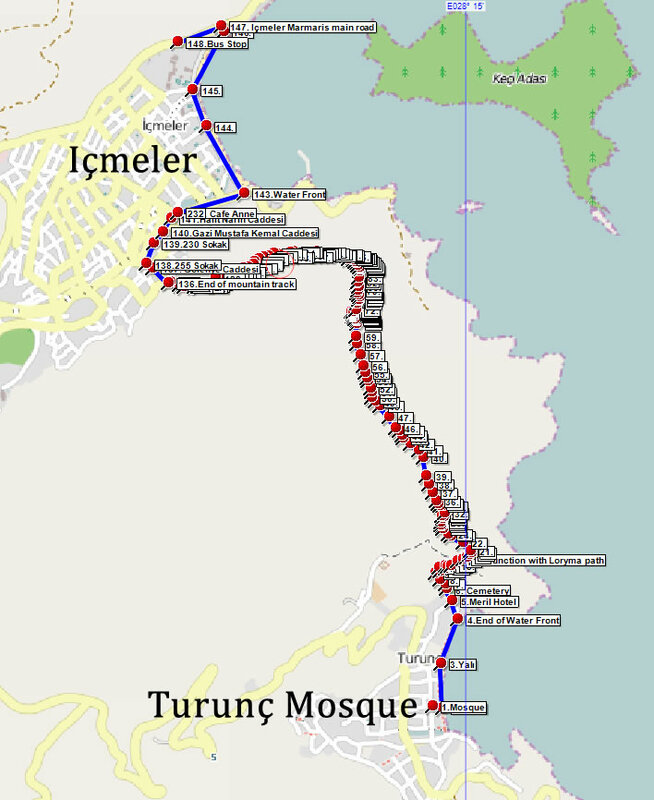 A wonderful if strenuous walk starting at the Turunç Mosque and finishing in Içmeler. 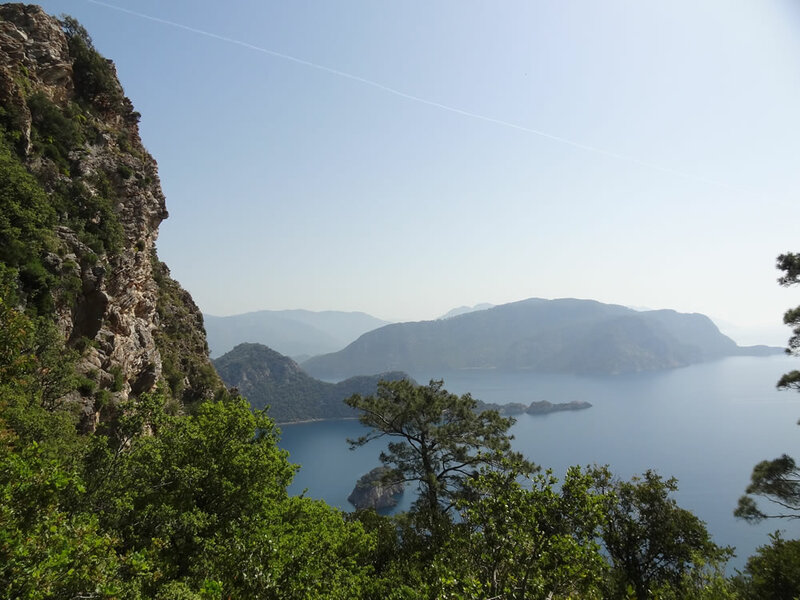 The return journey can by the regular dolmuş (bus) service, taxi, or in the summer season by water taxi. 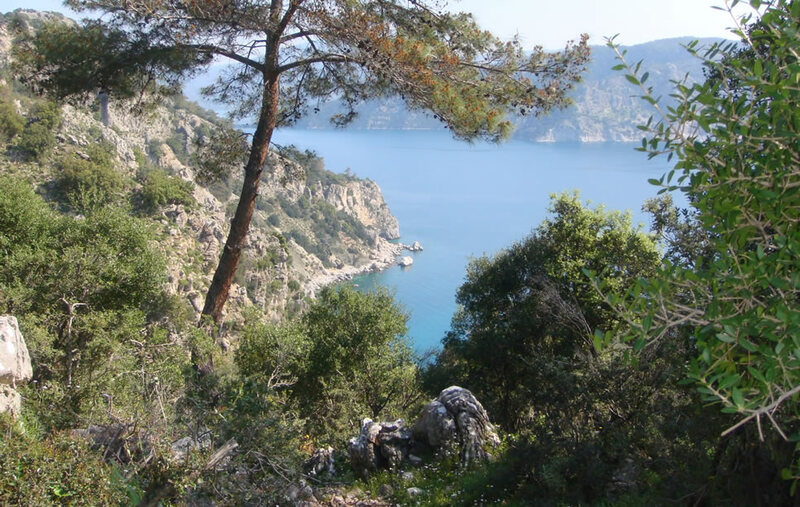 The initial climb is rewarded by some of the most stunning sea views and rich flora and fauna. 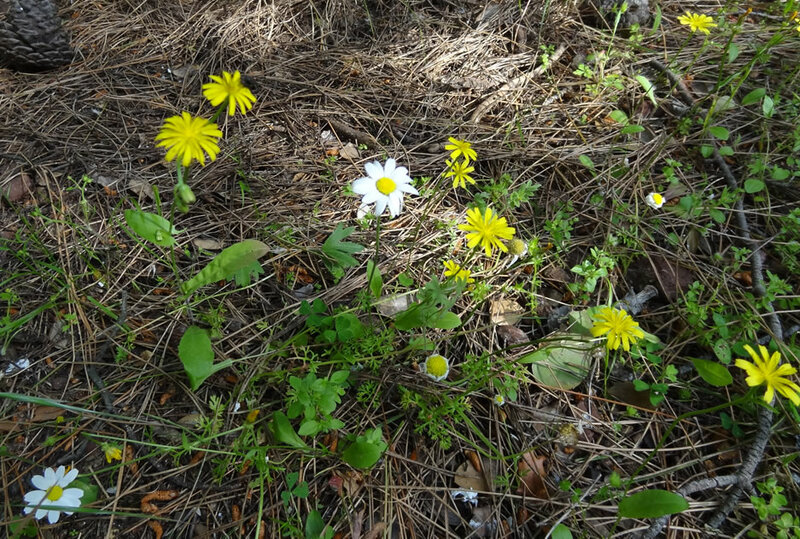 Not a walk to be rushed and not recommended on hot summer days. 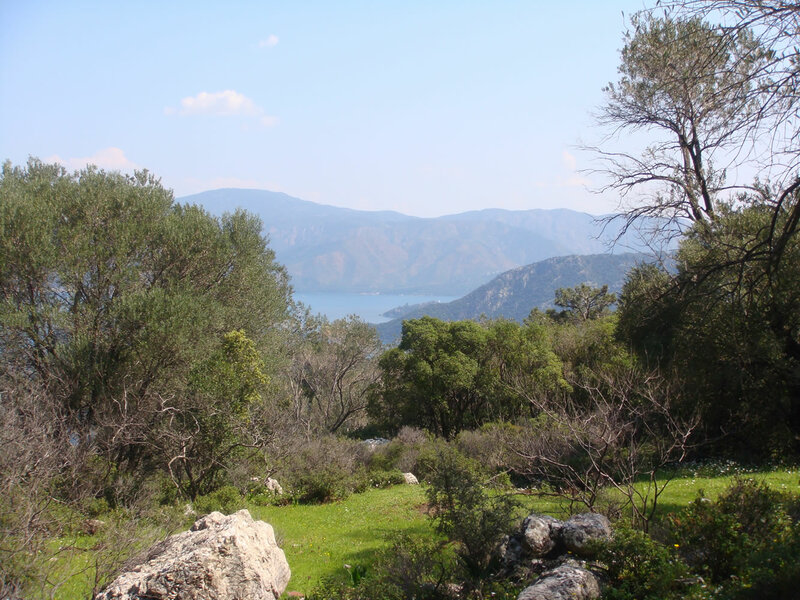 Take plenty of water and a picnic lunch as there are some superb open areas on the top to stop and enjoy. 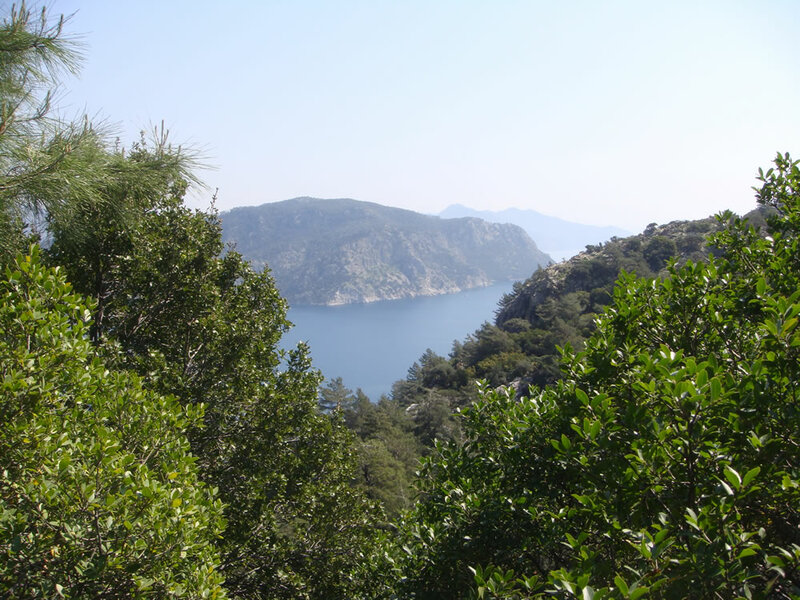 The route from Turunç Mosque follows the water front to the cemetery where a steep ascent commences. 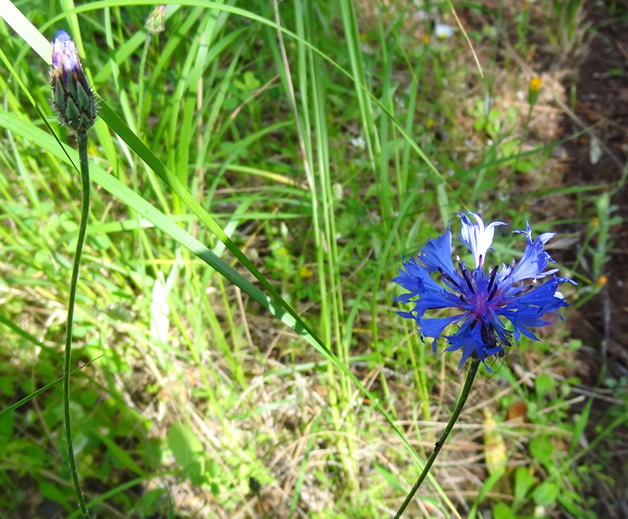 This is the most difficult part of the walk, over rough ground with loose stones and plenty of undergrowth. 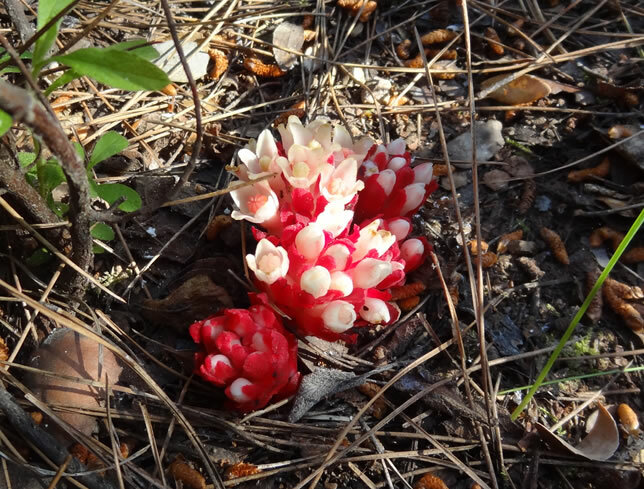 The reward comes from the plateau with its amazing views and interesting wild flowers, trees, fungi and wild tortoises. 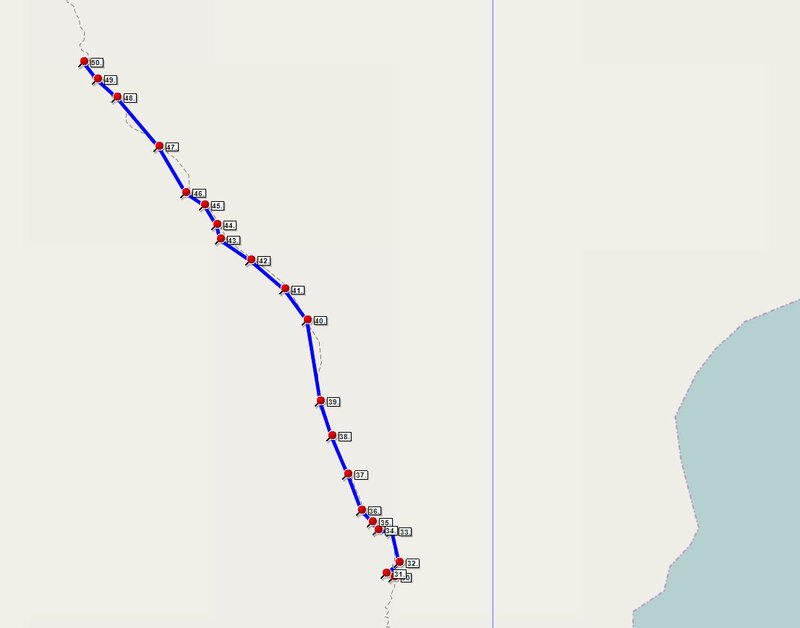 Use of a GPS device is recommended but if this is not possible the route is way marked and can be followed with some concentration. 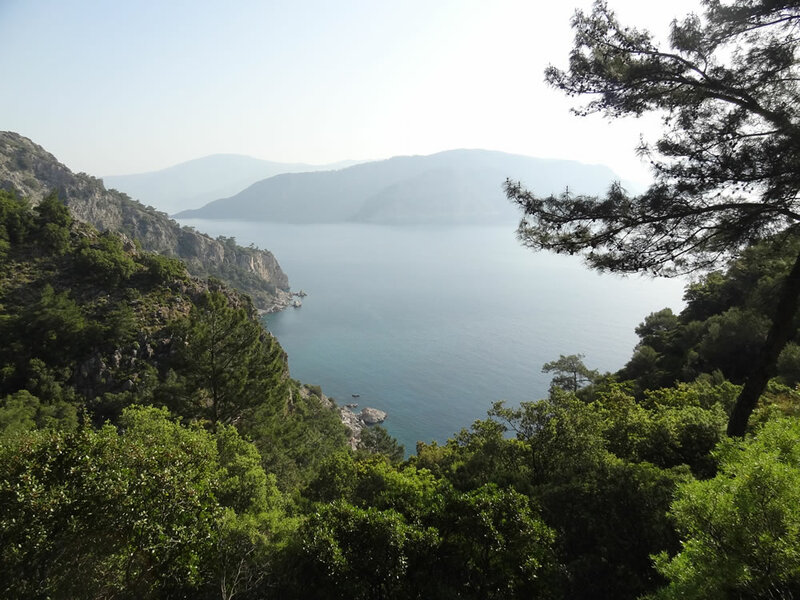 The descent into Içmeler leads into a quiet residential area of the village from which there is a short walk to a pleasant street-side café for a well-earned refreshment stop or a little further to the Içmeler water front bars and hotels. 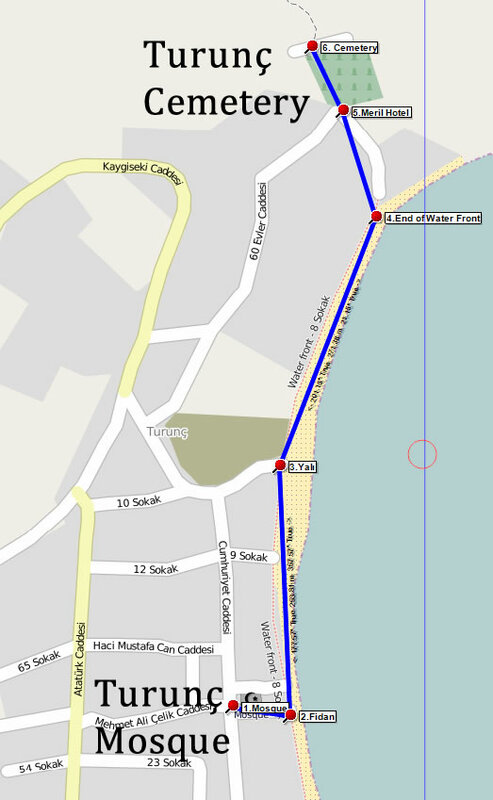 The walk starts at the village Mosque in the middle of Turunç and proceeds down to the water front by the side of Fidan's bar and restaurant. 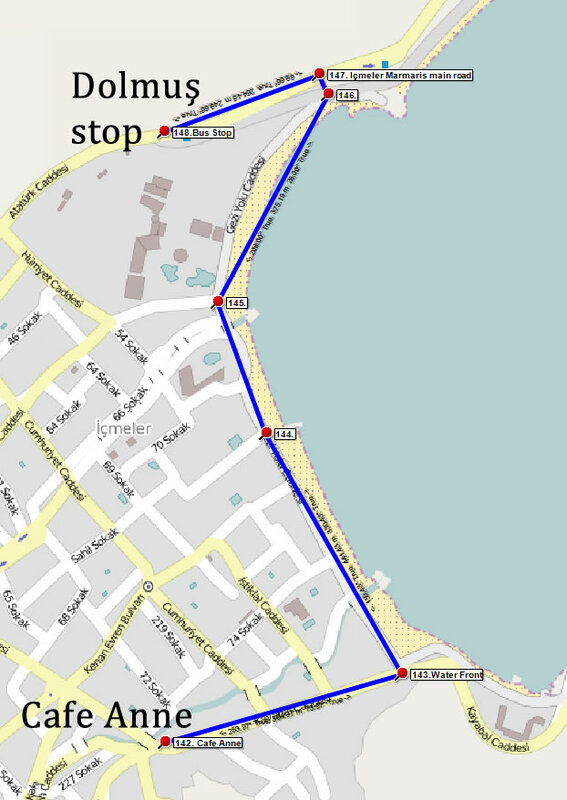 On the water front turn left and stay on the water front with the sea on your right hand side until at the end the path turns left, away from the sea, towards the Meril Boutique Hotel. At the top of the rise you will see the Cemetery in front of you. Proceed through the main entrance gate and follow the paved path to the top end of the cemetery where you will see a wall in front of you. Step up over the wall and turn to your right. 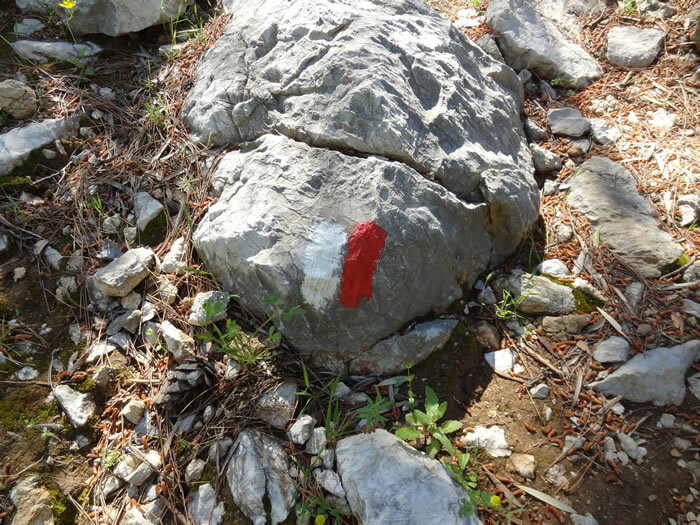 Immediately look for a small cairn on your left with red marker paint (by the second tree on your left). This denotes the start of the track. From the cemetery the route now ascends following a rough, way marked track. If in doubt the target is a v-shaped gap in the mountain and as long as you get there, the exact path is not important. 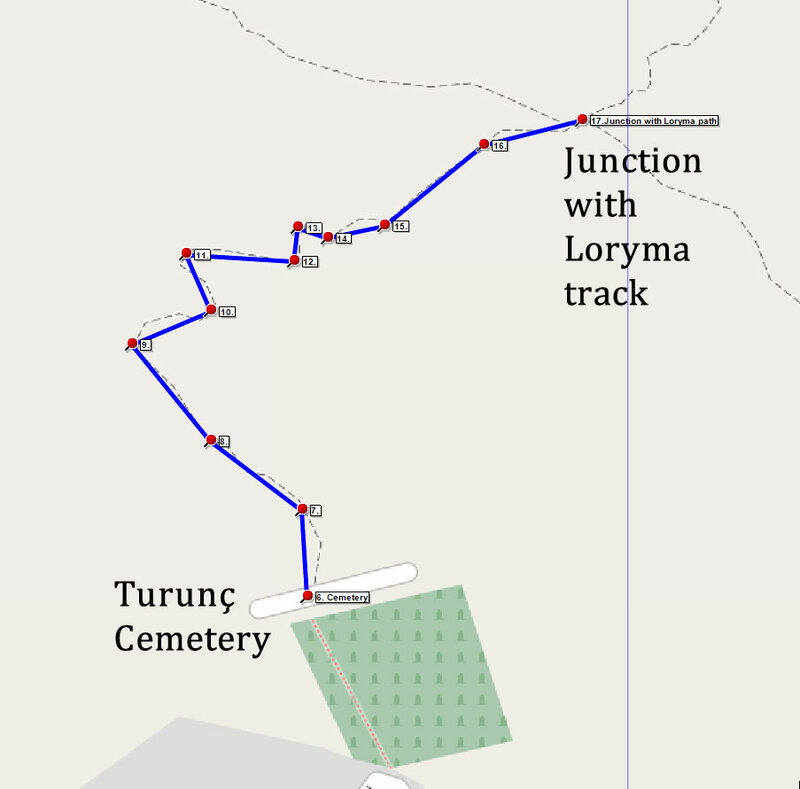 This section finishes at way marker 17 where the path crosses the mountain track from the Loryma Hotel (see the Loryma Mountain Track walk). From way marker 17, the junction with the Loryma mountain track, the route continues to ascend over rough, stony ground. At times the track is difficult to discern so look out for the painted way markers on the rocks and the v-shaped gap that you are heading for on the sky line. 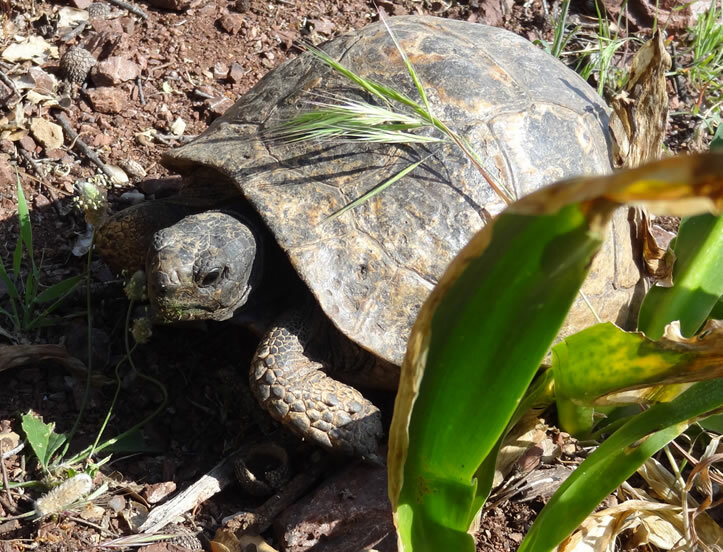 Keep an eye out for the wild tortoises that abound across the entire mountain track and do stop to take in the amazing views from time to time. 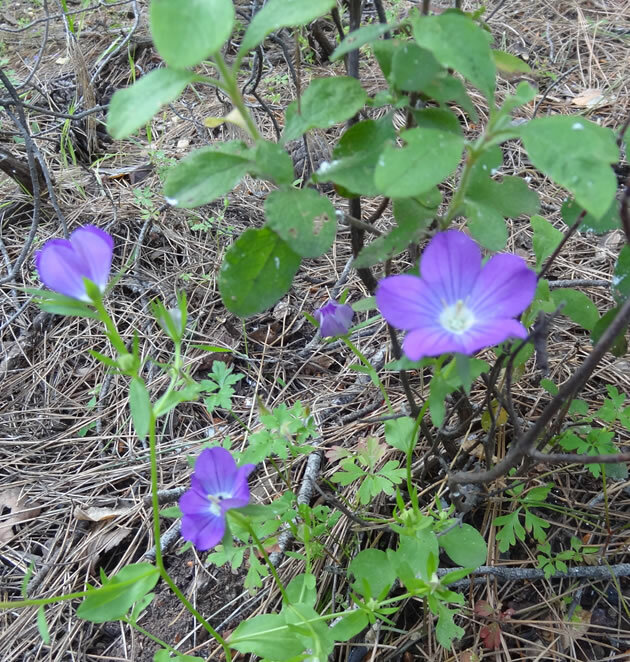 The terrain and the views change constantly across the mountain so take plenty of rest stops and look out for the wild flowers and photo opportunities. The path follows a straight line on this section. Continue roughly in a straight line, following the way markers. 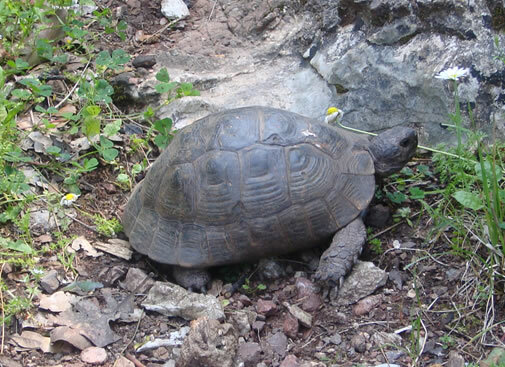 Take care on the descent as the path is rough with loose rocks. The end of the track passes between a large boulder and a stone wall to emerge on a paved, residential street at the back of Içmeler. 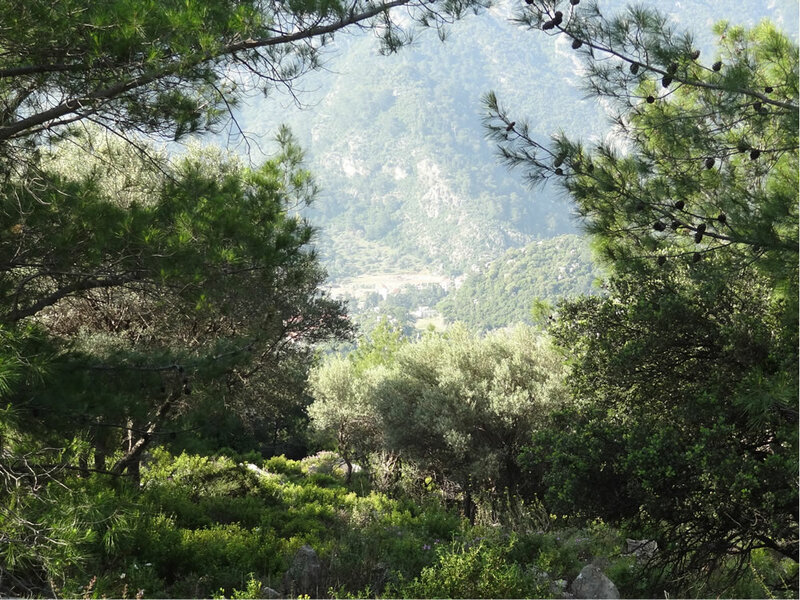 From the end of the mountain track follow the road facing you, Gölenye Caddesi, and take the second turning on the right into 225 Sokak. The road merges with Gazi Mustafa Kemal Caddesi from the left, and shortly after joins Kayabal Caddesi with Café Anne a welcome coffee stop a the junction. From Café Anne walk down Kayabal Caddesi, heading towards the sea, taking the third turning on the left to join the water front at Gezi Yolu Caddesi. As you walk along the water front watch out for the Water Taxi signs. 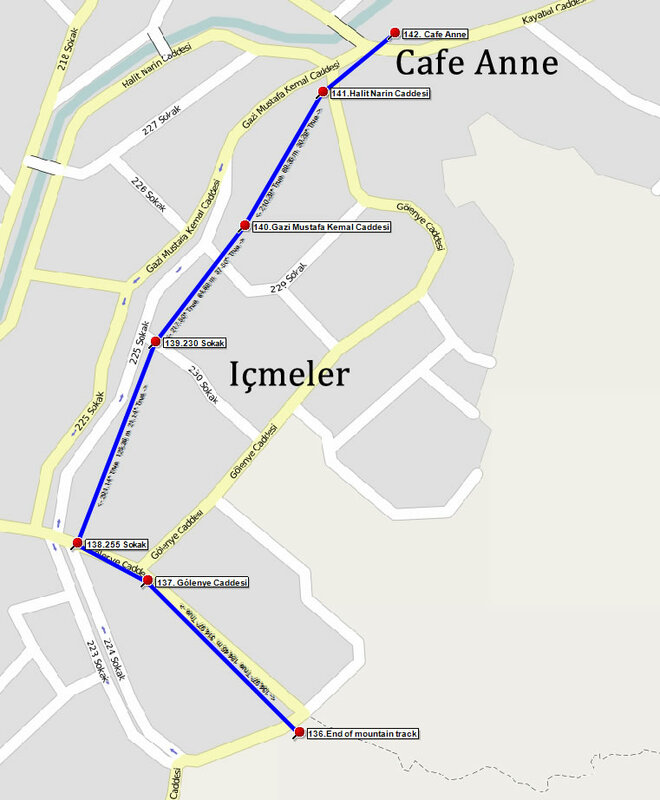 During the summer months water taxis run regularly between Içmeler and Turunç and this is a great way to make a relaxing return to Turunç. 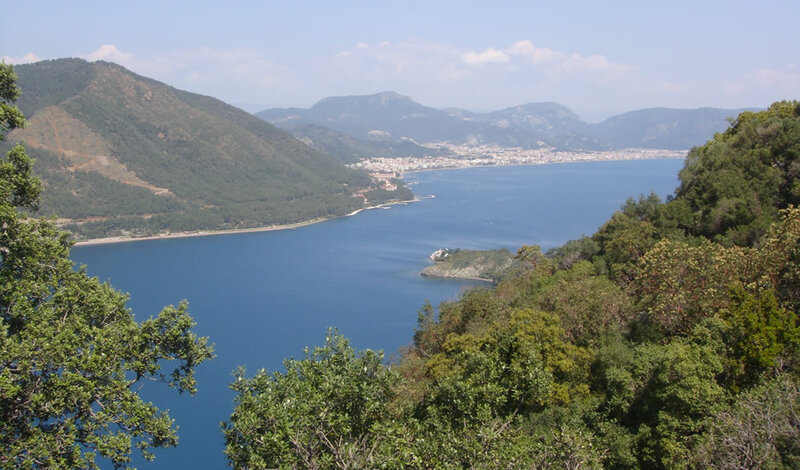 Alternatively, continue to way point 146 where the water front comes very close to the main road to Marmaris. 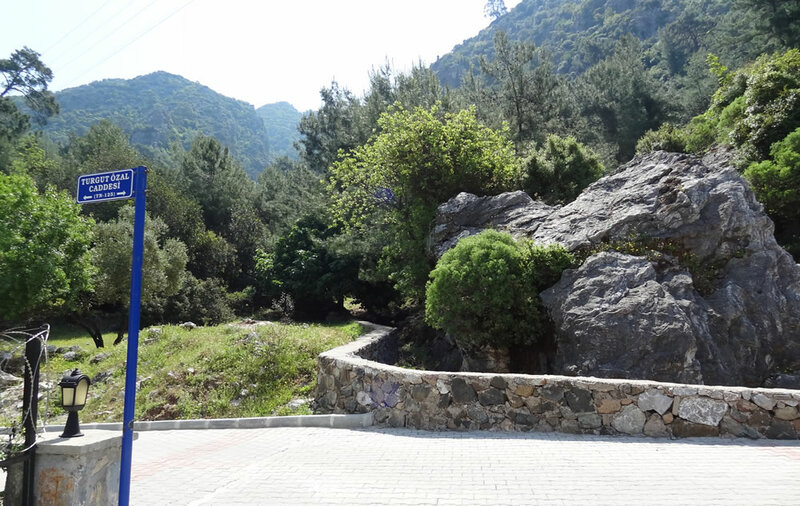 Turn left up to the main road and walk a short distance left on the main road and you will find the dolmuş (mini-bus) stop for Turunç. 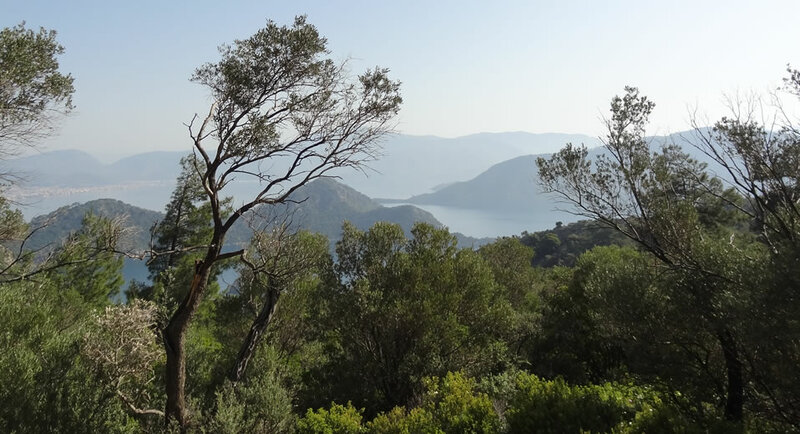 If you are not sure, just ask any of the locals or bar/hotel staff and they will happily direct you to the nearest dolmuş stop for Turunç. Thank you. 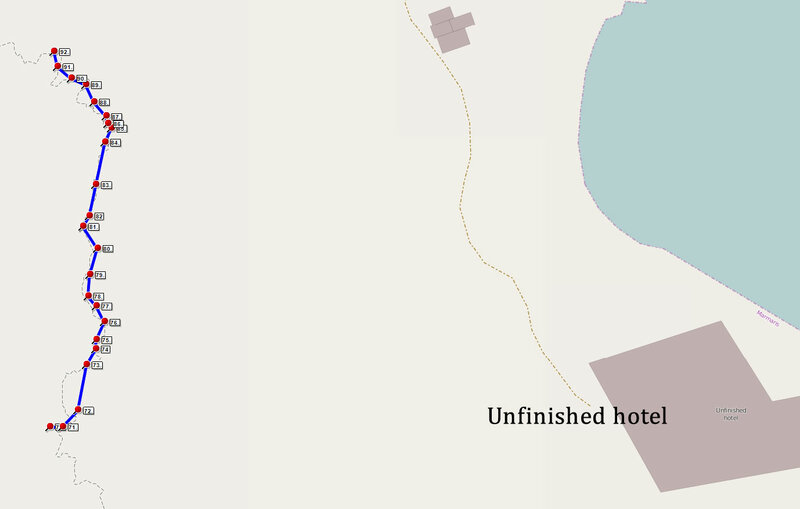 Downloaded GPS and PDF to be safe, but your waymarking was excellent. 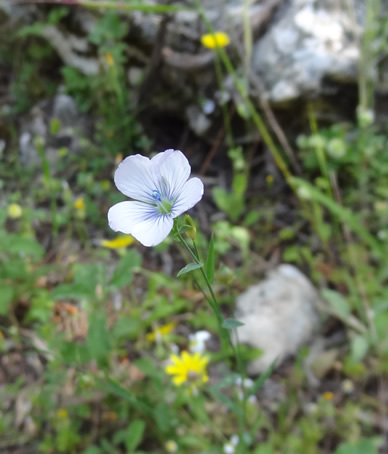 Picked a day with cloudy spells yesterday, but it was still very warm ascending. Some helpful rope stretches to assist up and down. I found the descent into Icmeler the most challenging section as there is a lot of loose rock. Just over three hours, with a bad knee! Excellent mountaintrack. The hill close to the cementary is steep. Walking uphill is ok, decending can be dangeorus as it is slippery. 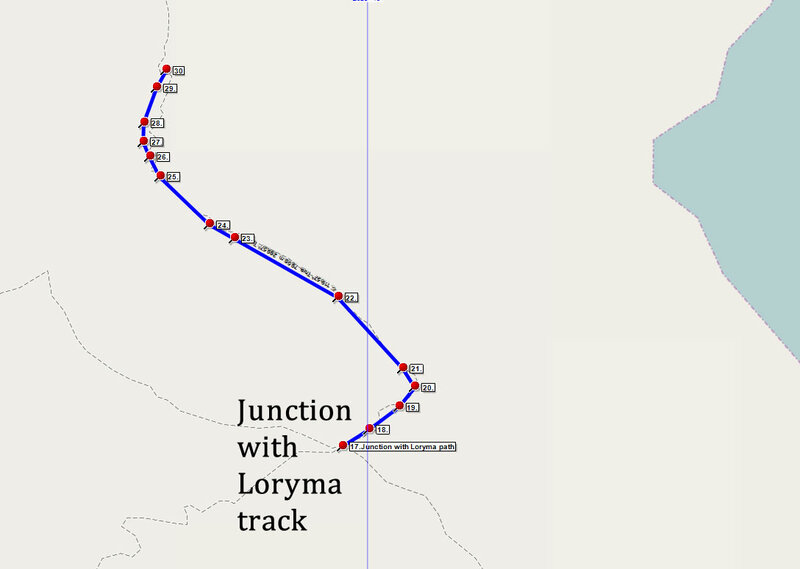 The hill can be avoided by taking "Loryma Mountain track" instead (see that route). Most part of the track is on the east side of the mountain, so the sun is best avoided by walking late afternoon.